Brian Zahnd sealed the deal for me in one minute of his fourth sermon on the subject of forgiveness. It was one of those moments when you stop whatever you are doing – in this case, running on the treadmill - and try to find the closest item to either write with or record with. Time will tell, but Zahnd’s words were like the brush stroke that only the artist would know is necessary to bring depth and dimension to a working canvas. 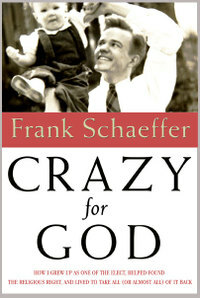 Frank Schaeffer, Crazy for God: How I Grew Up as One of the Elect, Helped Found the Religious Right, and Lived to take all (or almost all) of it Back (New York: Carroll & Graf Publishers, 2007). I lived in Switzerland from 1972-1973, and while I was there my mother sent me a copy of Escape from Reason by Francis Schaeffer. 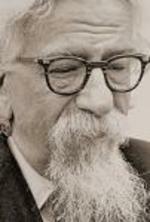 I had not heard of L’Abri or Francis/Edith Schaeffer at the time, but as I read the slim missive in the Alps, I became quite interested in Schaeffer’s interpretation of the sweep of Western intellectual history. I was young, naïve and not grounded in much, so the argument in Escape from Reason seemed to make sense to me. 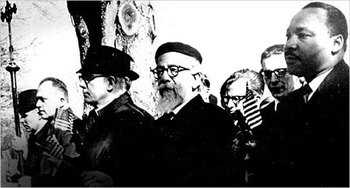 The photograph of Abraham Joshua Heschel walking arm in arm with Martin Luther King, Jr., in the front row of marchers at Selma has become an icon of American Jewish life, and of Black-Jewish relations. 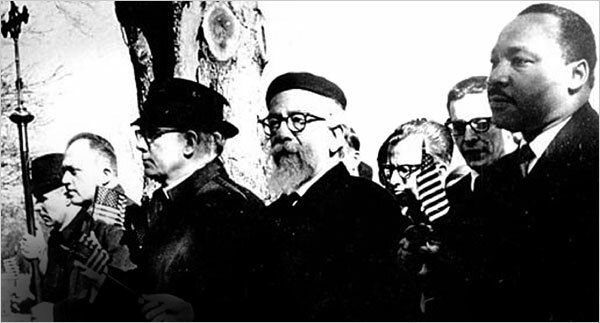 Reprinted in Jewish textbooks, synagogue bulletins, and in studies of ecumenical relations, the picture has come to symbolize the great moment of symbiosis of the two communities, Black and Jewish, which today seems shattered. 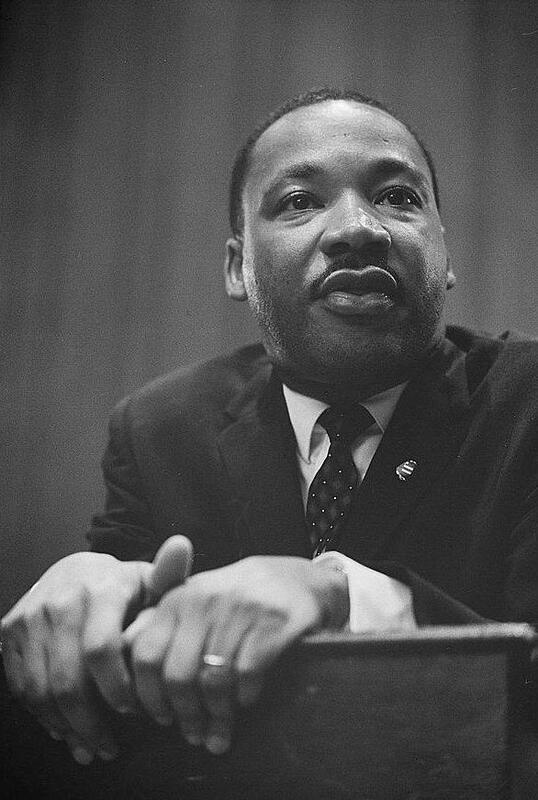 When Jesse Jackson, Andrew Young, Henry Gates, or Cornel West speak of the relationship between Blacks and Jews as it might be, and as they wish it would become, they invoke the moments when Rabbi Heschel and Dr. King marched arm in arm at Selma, prayed together in protest at Arlington National Cemetery, and stood side by side in the pulpit of Riverside Church. We believe in MLK. But we still don't believe him. Excerpt from "Beyond Vietnam," an address by MLK, April 4, 1967. For the entire text, click here. “I pass the test … I will diminish, and go into the West, and remain Galadriel” (Lord of the Rings, II.7, p.357). “The bride belongs to the bridegroom. The friend who attends the bridegroom waits and listens for him, and is full of joy when he hears the bridegroom's voice. That joy is mine, and it is now complete. He must become greater; I must become less” (John the Baptist, Jn 3:29f). I think the most ironic phrase in the English language is, “I was humbled.” When we use it, we might as well say, “I felt really proud.” But I get it. I was humbled recently to have lunch with pastor and author, Vern Heidebrecht. I.e. I felt proud to be invited into his company. In fact, I was actually humbled in that I had that “I’m-not-worthy” feeling to have someone I consider as a seasoned man of God treat me so graciously. And this will be part of my point in this article. Mr. Speaker, I stand before you today to offer an apology to former students of Indian residential schools. The treatment of children in indian residential schools is a sad chapter in our history. (For over a century the residential schools separated over 150,000 native children from their families and communities). The following text expresses the vulgarity of life on the edge of civility and order. It may offend; it may arouse anger. But be patient and reflect on the pain etched in these words. My desire is only to share the hurt, in its all its naked, violent nature. 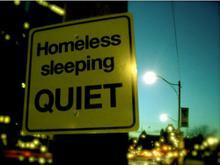 Falling heavy upon the cold hard ground draped in filthy rags the search for stillness begins. He seeks to find a few moments solace from a long ruthless day of being a shadow. 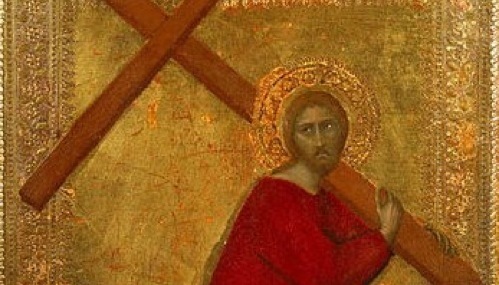 To the prophet, God does not reveal himself in an abstract absoluteness, but in a specific and unique way--in a personal and intimate revelation to the world. God does not simply command and expect obedience; He is also moved and affected by what happens in the world and he reacts accordingly. 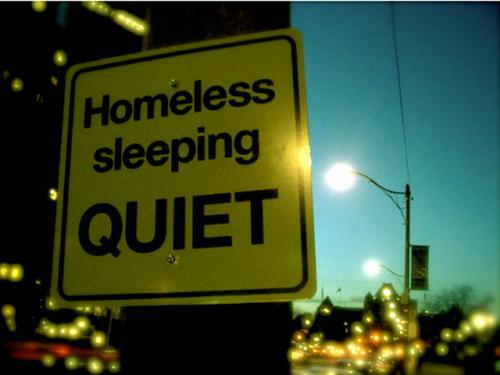 Events and human actions arouse in Him joy or sorrow, pleasure or wrath.